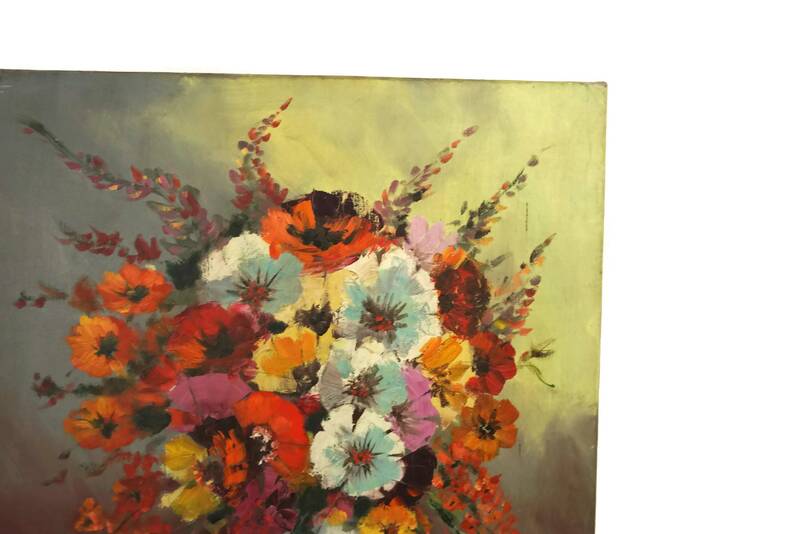 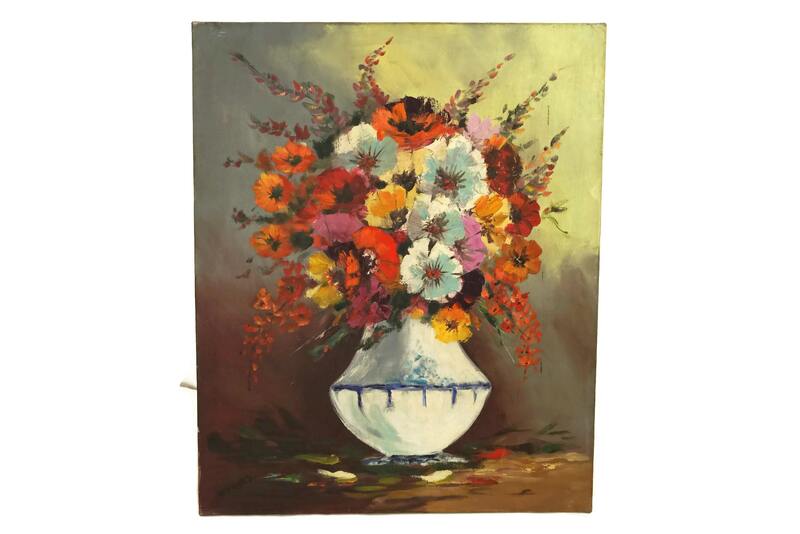 A beautiful flowers still life painting on canvas dating from the 1980s. 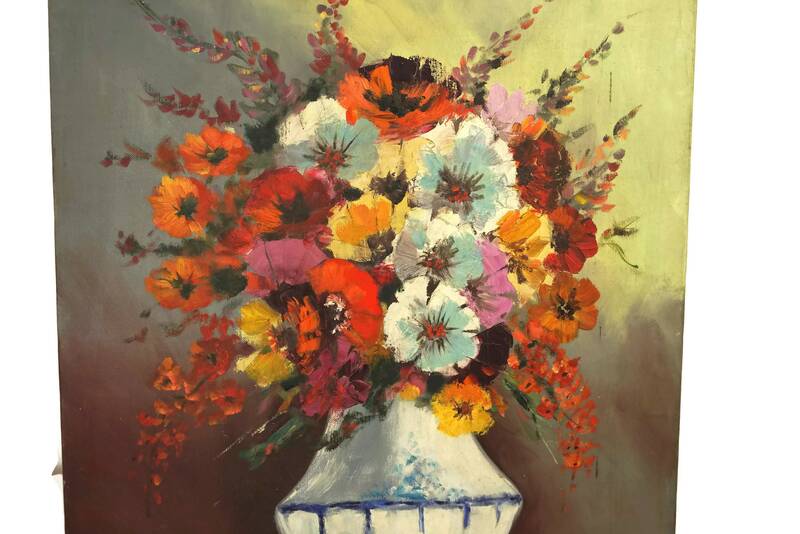 The large still life painting features a vase of wild field flowers. 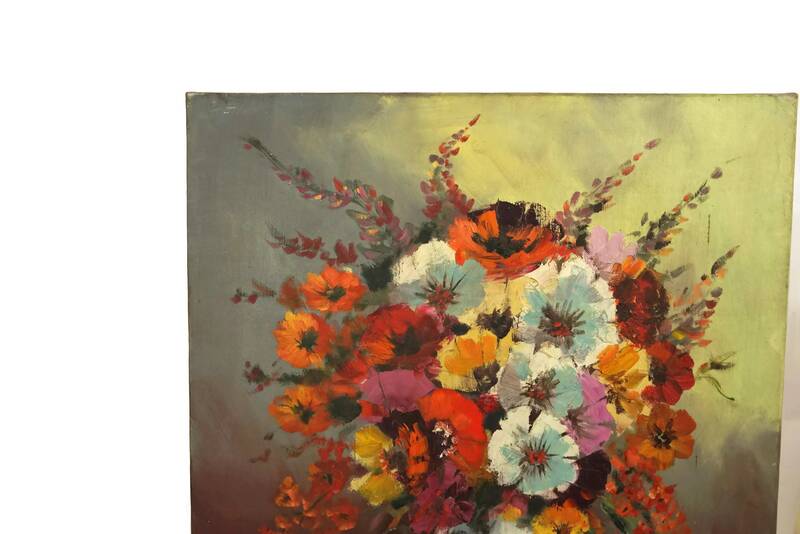 It has been painted in a rich palette of colors on stretched canvas. 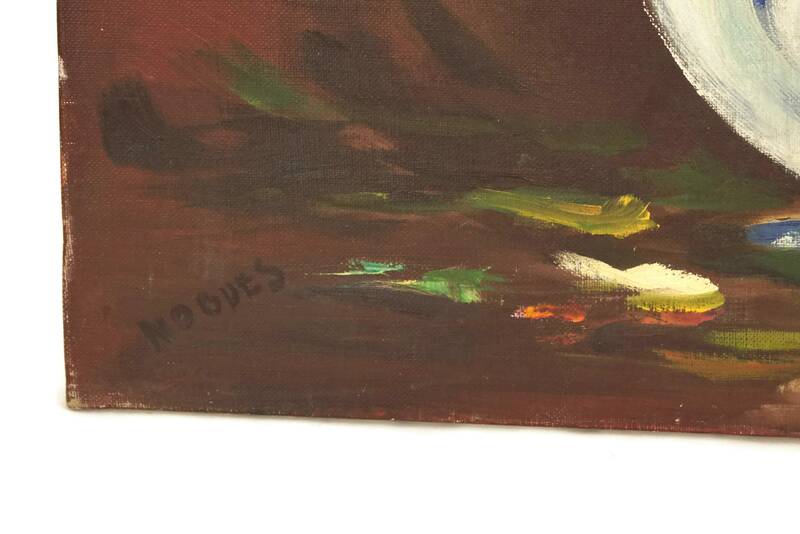 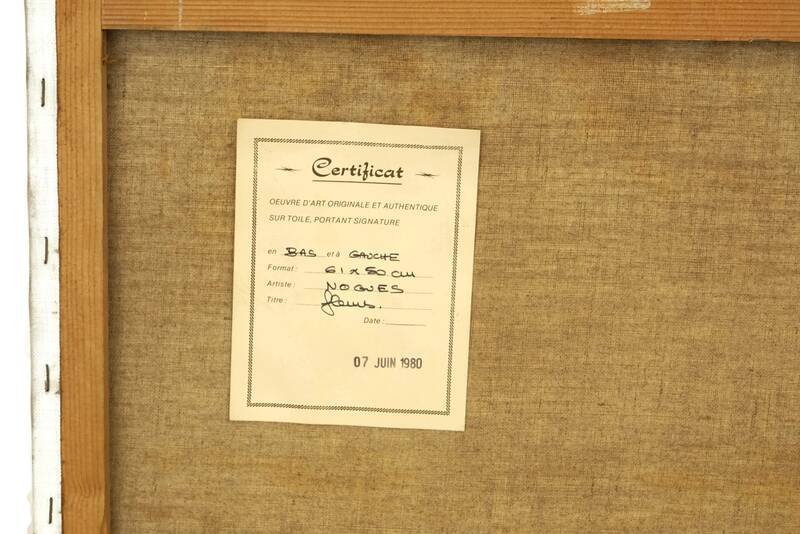 The artwork has been signed by the French artist Nogues and the reverse side has a dated certificate of authenticity. 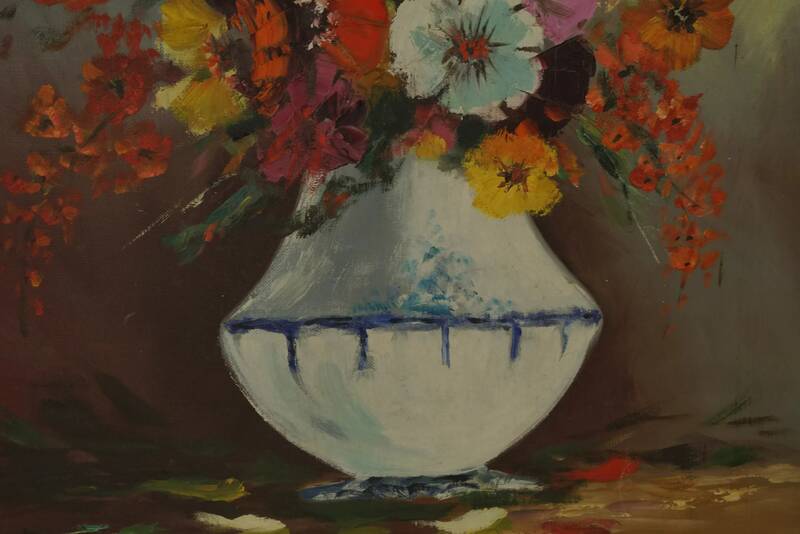 (50 cm x 61 cm). 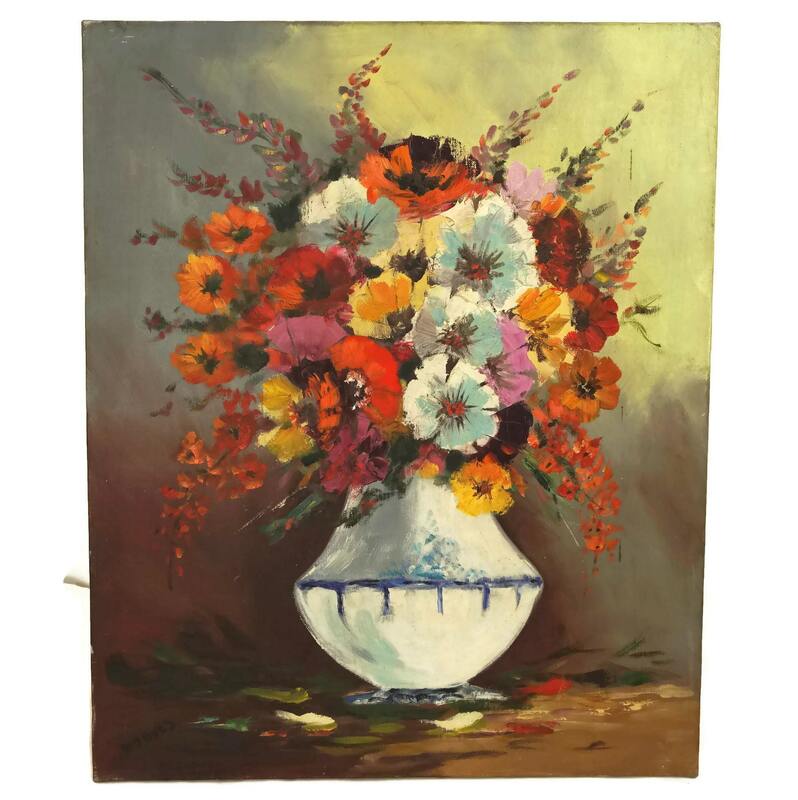 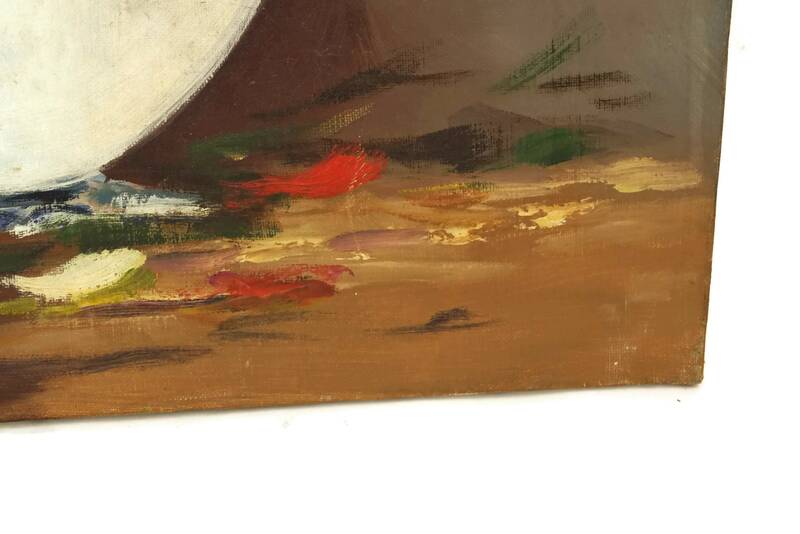 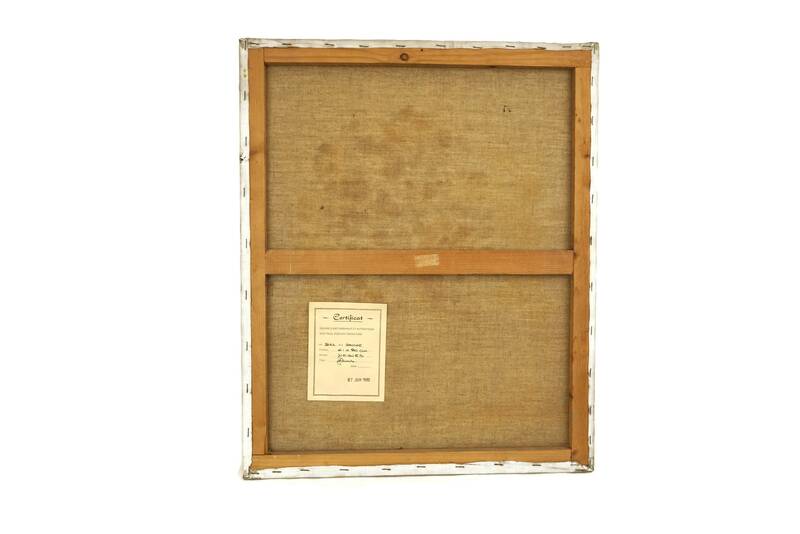 The vintage floral painting is in very good condition.